A recent poll brings bad news for those who trust in scientific consensus: a majority of adults in the United States are not convinced that the universe began with the Big Bang according to a new Associated Press poll. The Associated Press poll found:Only 4% of Americans doubt that smoking causes cancer. And only 6% question whether mental illness is a medical condition that affects the brain. The vast majority accept that we carry genetic codes inside our cells. Only 8% quibble with that finding. Far more people — 15% — question the safety of childhood vaccines, the AP poll revealed. About four in 10 Americans are unsure or don’t believe in global warming. The same ratio eschews the commonly accepted scientific belief that the Earth is billions of years old and that life was formed through a process of natural selection. 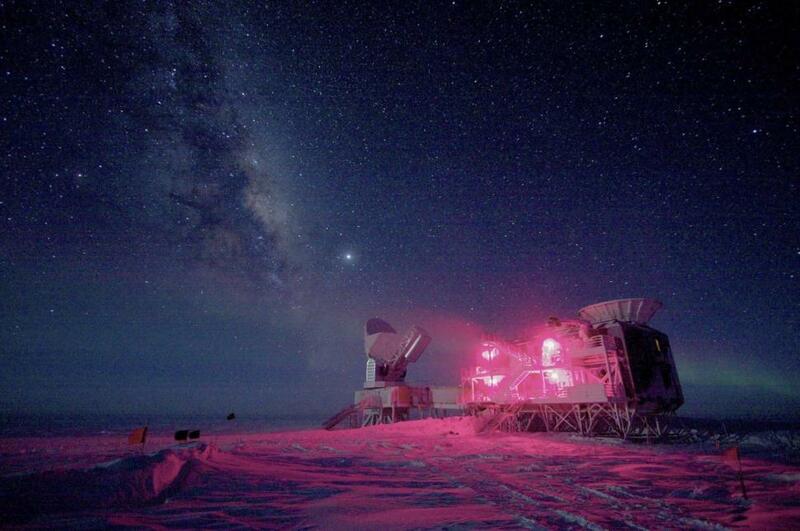 But the biggest group of doubters — 51% — clustered around the Big Bang theory. A narrow majority of Americans question the idea that the universe originated sometime between 10 billion and 20 billion years ago from a massive explosion. 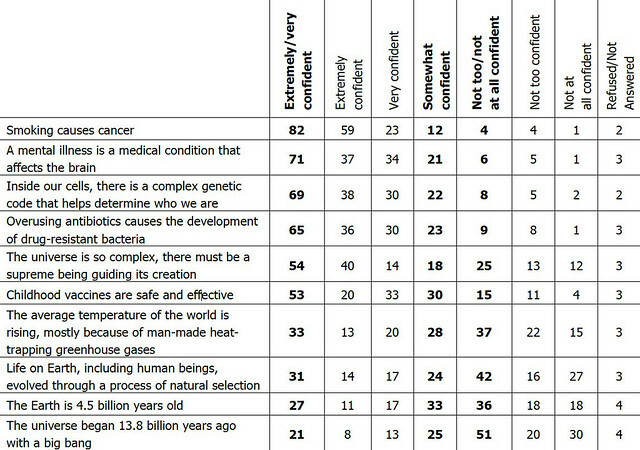 Religious beliefs also correlate with attitudes towards scientific consensus. The more firm a respondent’s belief in a supreme being, the poll reports, the less likely they are to have confidence in evolution, the Big Bang, the age of the Earth, and human-influenced climate change. “When you are putting up facts against faith, facts can’t argue against faith,” said 2012 Nobel Prize winning biochemistry professor Robert Lefkowitz of Duke University. “It makes sense now that science would have made no headway because faith is untestable,” he told the AP.